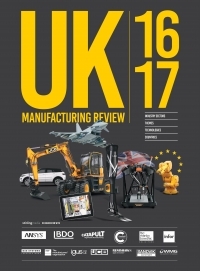 Will Stirling from the UK Manufacturing Review summarises the year in manufacturing during 2016 and what’s on the horizon in 2017. You can also view the latest sector facts, figures and statistics below. 2016 was defined by a growing disillusionment with “establishment” politics, exemplified by Brexit and the election of Donald Trump as president of the United States. The survival and continuing support for UKIP post-Brexit, the leadership crisis in the Labour party and the rise of populist parties across Europe underlined this growing disaffection with the status quo. Manufacturing, too, is going through big changes. Some say it is rapid, others more a gradual evolution. This can be summarised as Industry 4.0, the digital technology that will enable the fourth industrial revolution. While few factories have products that talk to machines and navigate their way around the factory and to the customer yet, most companies are using digital technology somewhere in their business. The level and sophistication of this technology will vary from company to company, but increasingly companies – such as 200-year old pump maker Hayward Tyler and textiles firm Carrington Workwear – have smart tablets in use on the factory floor, where manufacturing execution systems monitor processes, volumes and product variants, feeding back to the ERP system in touch with order processing, and workers are simply better informed about the production they need to control. 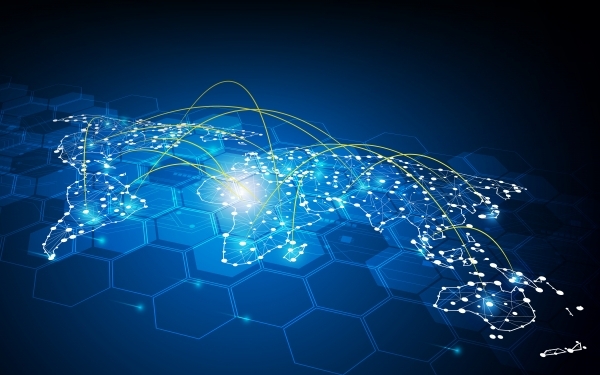 The increase in digital in manufacturing is connected to the growing dialogue about automation and the future of jobs. Manufacturing has been automating production and other business processes since before Henry Ford, so as automation increases, manufacturing will be at the vanguard of this change; 2017 will see more evidence of this. But some experts – like McKinsey – say the likely pace of this job redundancy is overcooked. We know the sector is extremely short of many people with relevant skills – especially in the food sector, chemical engineering, mechatronics, informatics, and multi-disciplinary manufacturing and engineering. Paul Jackson of EngineeringUK says in 2015 27,135 level 3 apprenticeships in engineering were achieved, just half of what is needed to fill vacancies. So 2017 will see the greater convergence of two HR areas; more automation retiring some assembly and lower value jobs combined with the acute shortfall for technical jobs employers really need. More of the same, basically. By manufacturing sector, despite the shock result of the EU referendum, 2016 was a good year for many. The car industry is on a roll, on track to manufacture 2 million cars by 2020, with Jaguar Land Rover and Nissan already making about 500,000 a year. 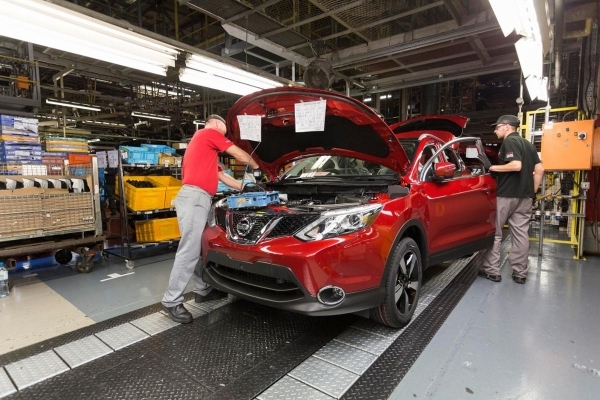 Nissan’s output is set to rise by as much as 20% with the announcement it will invest in two new models in Sunderland, a version of the Qashqai SUV and a new X-Trail. This will mean hundreds of new jobs. CEO of JLR – already the donor of about £12 billion investment in the UK car industry since its purchase by Tata – Dr Ralpf Speth wants to make the West Midlands a manufacturing powerhouse, doubling its production and focus more on electric vehicles. It will be aided in the R&D of battery propulsion, and manufacture, by the University of Warwick WMG’s new National Automotive Innovation Centre, a £350m investment (the biggest single investment in a building among all UK universities) set to come online in September 2017. The aerospace industry, while raining its status as world number 2, is feeling more pressure from the rest of the world. Aerospace primes like Airbus and Rolls-Royce have little sovereign loyalty and buy from suppliers anywhere in the world that can meet their delivery metrics. These increasingly come from countries including Mexico, Singapore, Morocco, Poland, Chile and Korea. Two areas defining the future of aerospace manufacturing are composite materials and additive manufacturing. Thankfully the UK is pretty good at both – the National Composites Centre expanded in 2015 with further investment in 2016, and there is a new EPSRC Future Manufacturing Hub for Manufacturing Using Advanced Powders and Processes and a National Strategy for Additive Manufacturing. In other sectors, the food was hit by the Marmite effect, when Unilever briefly withdrew supplies of Marmite to Tesco when the retailer threatened to drop prices after the fall in the pound. Food is worried by Brexit, partly because so many EU nationals are employed by the food industry which needs “130,000 new recruits by 2024” according to the Food & Drink Federation. The electronics sector in Britain is doing pretty well, because many companies are small and nimble and the requirements of modern electronics – sustainability, miniaturisation, the removal of lead and Industry 4.0 – can be responded to relatively easier by SMEs. The auto industry is perhaps the biggest driver of change in electronics in Britain as advanced safety systems, powertrain electrification and better connectivity (in the car and outside, to the ‘smart city’). The UK plastics industry is in “rude health”, says sector expert writer Hamish Champ, due to high quality design techniques, a flexible workforce and high investment in plant. The latter is measured by imports of injection moulding machines that registered an all-time high in 2015 at c 650 units, according to the Polymer Machinery Manufacturers and Distributors Association. New machinery sales was cited in part to the automotive effect. Other major and minor sectors reported a good 2016, including pharmaceuticals, space equipment, packaging, bicycle manufacture, watch-making and train building. While some may see train building as muted in the UK, and there is no domestic prime OEM, Bombardier in Derby is busy making more than 13 kilometres of new trains for Crossrail, Hitachi in Newton Aycliffe is delivering 600 new carriages for the new intercity expresses that will come in from the west and north east into London. For negative news – other than for many in business dependent on trade with Europe, the Brexit decision – Rolls-Royce had a tough year with reports of engine failings on some aircraft programmes leading to fall in the share price and investor sentiment. Cobham, Meggitt and Chemring have all had a mixed year, the former overseeing the exit of both its chief executive and finance director and forced into a rescue rights issue. The slowdown in China has hit several big UK and UK-based engineers, including Reinshaw, Rolls-Royce Motor Cars and Bentley Motors. Moving into 2017 and the inevitable filing of Article 50 to formally request to leave the EU, the general sense is that industry – admittedly disappointed and concerned in many places – is resigned to the change and has got on with business as usual, or as ‘unusual’ post-March 31. Some firms still resolutely want to remain in the single market; Sir Andrew Cook of steelmaker William Cook told The Times he might stop donating to the Tory party if this was PM Theresa May’s strategy. To counter the negativity about leaving the single market – which now seems to be May’s Plan A – this week Donald Trump told the press that a quick trade deal with the US was on the cards, and UK Trade & Investment is flying around world to India, New Zealand and other old Commonwealth friends to reforge links. The view from manufacturing will be, pragmatic as ever, ‘lets see what will be’, keep calm and carry on. I for one think leaving the single market is a big mistake but also the UK is inventive, diplomatic and good traders and will make the best of the outcome – but at what cost in the short term? Lots of government backed support such as Defence Growth Partnership, but defence strategy derailed by Brexit as many programmes are pan-European. Although some e.g. US defence firms in UK, due to lower pound, are ‘struggling to see the downside of Brexit’.